Description: Copy space. 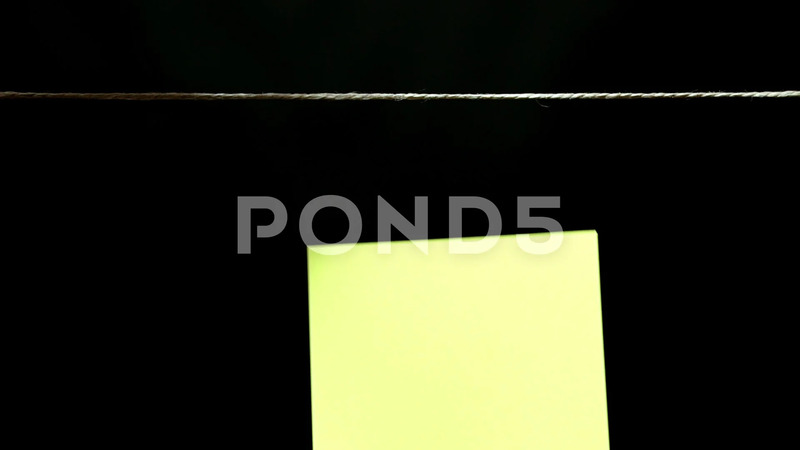 Pure pale yellow sticker. The sheet is manually attached with a clothespin on the rope. Black background.